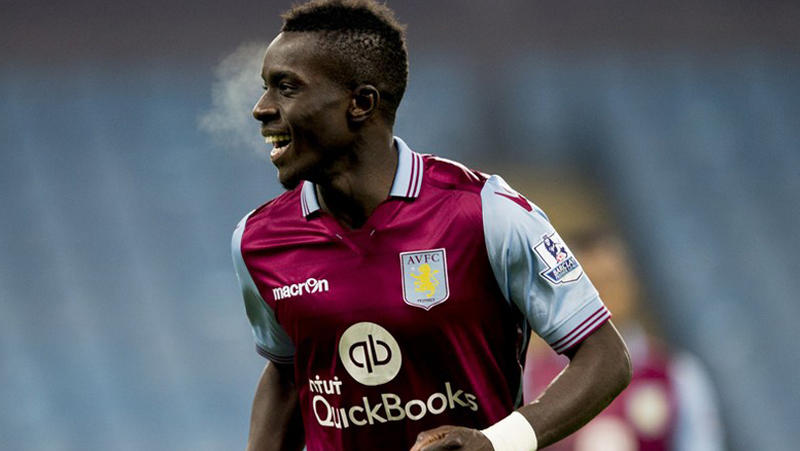 Earlier this week, reports surfaced that Everton had activated the release clause of Aston Villa midfielder Idrissa Gana Gueye. Following confirmation from his manager Roberto di Matteo (and bizarrely the Everton Former Players Foundation) and a nice bit of fume from Villa’s chairman on Twitter, it seems like only a matter of time before the Senegalese star puts pen to paper at Finch Farm. Here’s my verdict on the first outfield signing of the Koeman era. First of all, let’s just address the elephant in the room. He did happen to feature in one of the worst Premier League sides of all time, and that may taint his CV for the rest of his career. Aston Villa fans don’t seem to rate him too highly, accusing him of being a player who runs around a lot and not much else (Everton certainly don’t need any more of those – ahem, James McCarthy). Coupled with a rather low price tag, this may get alarm bells ringing in the ears of Evertonians who have developed trust issues with football scouts after Everton paid 13.5 million real actual pounds for Oumar Niasse. But Blues, fear not. Gueye is going to be a boss little signing – here’s why. Most Evertonians will have seen a graphic from Sky Sports circulating around, showing that in tackles, interceptions, and distance covered, in the whole league Gueye came second to only N’Golo Kante, who was by far and away the best midfielder in the league last season. Gueye also completed more passes with a better pass accuracy than Kante, showing he can play the ball as well as win it back. 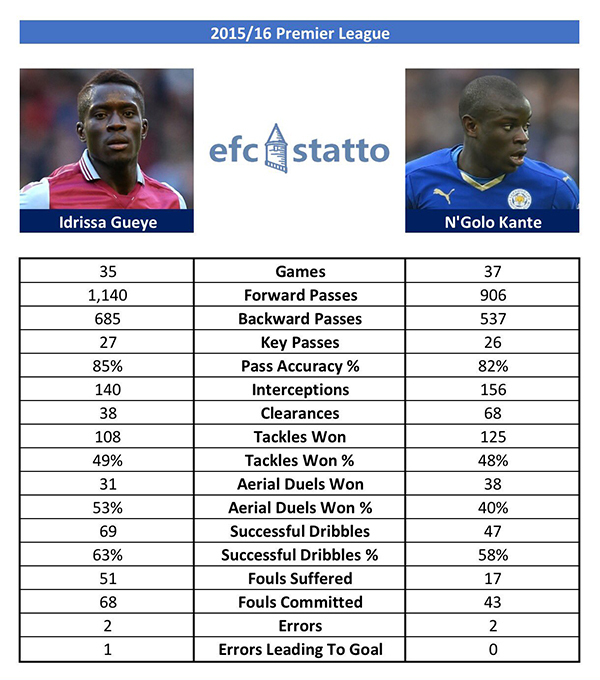 The stats certainly seem to suggest that Gueye is the real deal. Steve Walsh, Everton’s new Director of Football, has been a long-time admirer of the 26 year old – even lining him up as the heir to Kante while he was at Leicester. Incidentally, our manager Ronald Koeman tried to sign Gueye as Southampton manager before he plumped for Aston Villa (fairly poor decision in retrospect). It is clear that the big boys at Everton are all in consensus that Gueye would be a good addition to an Everton midfield that is in serious need of purpose and energy. Gueye is going to fit in brilliantly with the system Koeman is employing. In the games against Barnsley and MK Dons, when without the ball, we saw signs of a high press being used to regain possession, a method Koeman used at Southampton. Gueye’s energy, tackling ability and eye for interceptions means he suits a high press perfectly. The hierarchy at Goodison haven’t simply seen a cheap player with good stats – they have thoroughly scouted this man and identified him to be a tailor-made fit to the system Koeman will be using in the Everton team. If he starts, Gueye will be the man doing the midfield chasing and harassing, allowing the more creative players to focus on attacking and making chances. In terms of coming off the bench, Gueye would be a perfect man to bring on to solidify a midfield and close a game out, and as we know Everton are in desperate need of help in seeing out results. Overall, Gueye appears to tick all the boxes for what Everton need, and for such a small fee, the move comes with little risk. I’m not saying he is going to set the league on fire, but I fully expect our new man to prove his doubters wrong next season, and be part of a much more defensively sound and energetic Everton side. Don’the get too excited toffees . As a suffering villa fan the stats are baffling. 2 errors?????!!!!!. He reads the game well,intercepts well. But will need babysitting. He just gives ethe ball away far too often. In dangerous areas too when we were looking to spring forward leaving us exposed on countless occasions. I hope you’re right Joe. Stats are all well and good – but if Villa fans weren’t impressed ….. that worries me a tad. Anyway, let’s see if he signs first, then good luck to the lad. Think there must be a misprint in the final two stat descriptions, must have missed “per match” out!!! The guy runs and runs, tackles, wins the ball, gives it back to the opposition but in a worse position than he won it leaving us terribly exposed. As for 85% passing accuracy you need to dig down and see how many of them were longer than 3 yards and forward, my estimate is about 10 all season!!! Not fit to clean Gareth Barry’s boots let alone lace them! !